Scientific progress doesn’t work on a set timeline, but it does generally follow a certain cumulate progression. 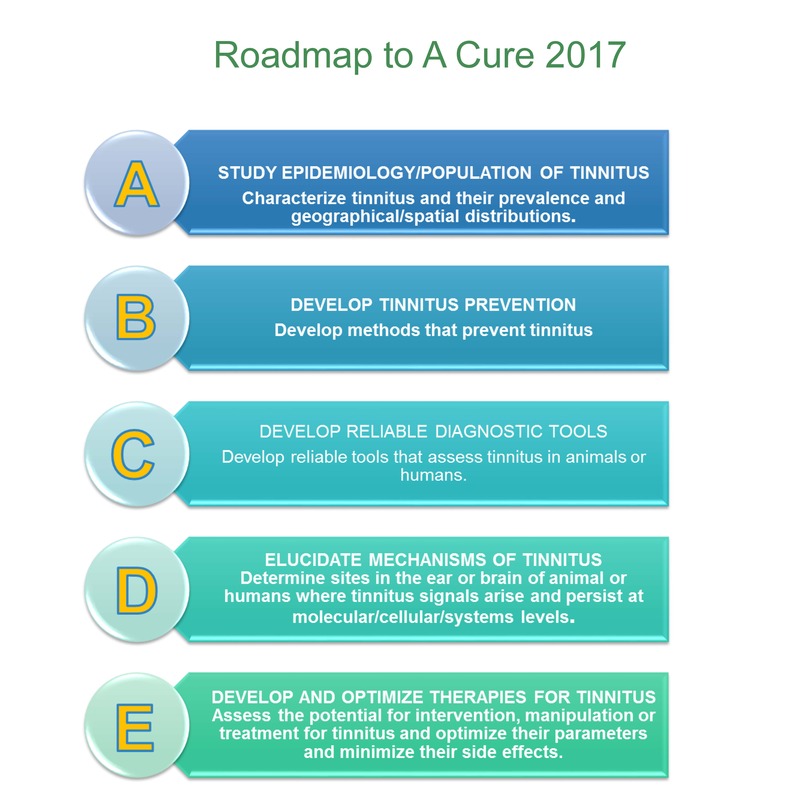 ATA’s Roadmap for a Cure is a framework for understanding the incremental research process that will lead us to a definitive cure for tinnitus. Developed by ATA’s Scientific Advisory Committee, the Roadmap identifies the steps necessary to reach this goal, as well as critical caps in knowledge which require additional research and funding. Unfortunately, the scientific process doesn't always follow a direct course. In an effort to refine knowledge and expedite a cure, researchers must exhaust all possible avenues of investigation. However, a roadmap is an excellent way to help shorten the path from the starting point to the final cure. We see this Roadmap as a way to give tinnitus patients and researchers a firm understanding of what's going on in tinnitus research. There are many battles along the way, and each little battle is important to fight and win. If we find a solution to any one of the Paths, we will have helped improve people's lives.